A great small cruiser of excellent design and great builder. She is also in very good shape: cannot find better to enter safely and economically in the world of classics! Izarra's lines are an improvent of the famous Twister Class, designed by Kim Holman in the early Sixties, as cruisers racers. Holman was well known for his balanced and elegant lines. In all his projects he succeeded in founding a proper balance between performances and sailing comfort. Compared to those of a Twister, Izarra shows sweeter lines and moderate draft. 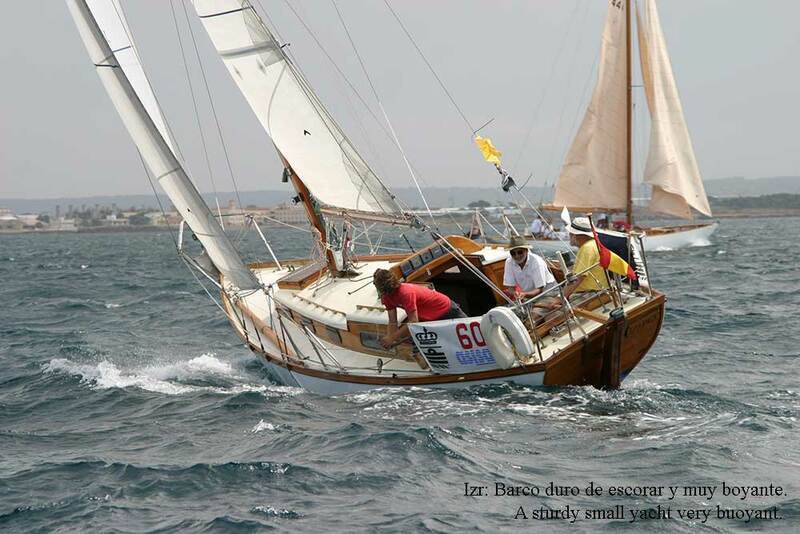 However, in the past Izarra has won different prizes at classic races and has beaten also more raced boats on singular races. She is very safe also in bad weather, when her very buoyant stem keeps dry her deck. Barcos Singulares sold Izarra to her present pasionate owner and he has taken good care of her. She is in very good general shape and very original. She only lacks of a reduced jib for hard winds. But this, she is ready for any sailing adventure.